There is an announcement of HUGE significance due out at 12noon UK time. The markets will probably trend sideways prior to this. Trade with extreme caution prior to 12noon. A pending BUY order has been placed just above R1 at 14425 and a pending SELL order just below the Pivot Point at 14328. A report of HIGH importance is due out at 3pm UK time. The market tends to trend sideways prior to reports of HIGH importance. Trade very cautiously prior to reports of HIGH importance. 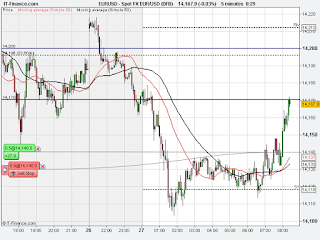 A pending BUY order has been placed just above R1 at 14397 and a pending SELL order just below the Pivot Point at 14247. The Stop loss was taken at 2.45pm with a loss of 20points. Due to the uncertainty in the market, no further trades will be placed today. 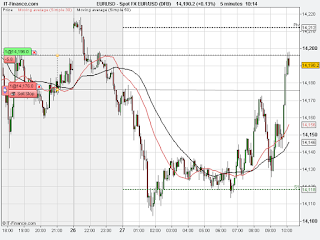 The market has fallen and taken the Stop Loss at the Opening level of 14196 with No loss. The MA50 is now above the Fibonacci Retracement. 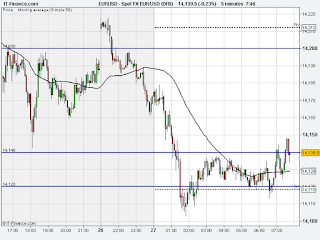 A pending SELL order has been placed at the Fibonacci Retracement at 14196. No pending BUY orders were placed. The market has again moved halfway (30points) towards the Profit target (60points). 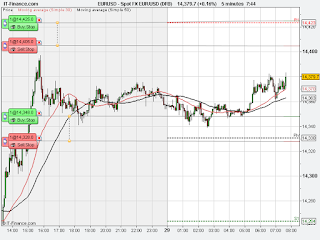 The Stop Loss has been moved to the opening level of 14196 in order to protect capital. The Profit limit of 60points has been left in place. 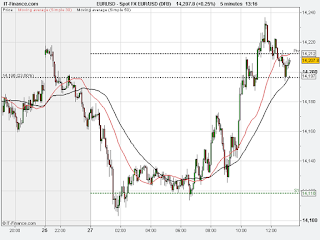 The pending BUY order at the Fibonacci Retracement at 14196 was taken at 10.05am with a Stop Loss of 20points and Profit Limit of 60points in place. The market has reached the halfway point (30points) towards the profit target (60points). 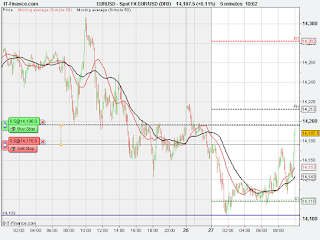 The Stop Loss has been moved to the opening level in order to protect the capital. The Profit Limit has been left in place. The market had been trending sideways this morning. 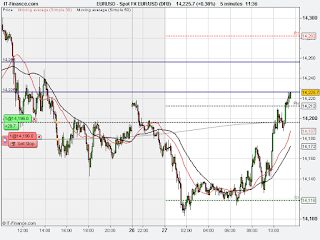 A Resistance had form in the Market at 14138. 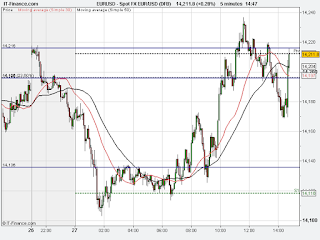 A pending BUY order was placed just above the Resistance of the Market at 14140. 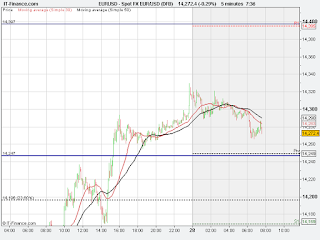 This order was taken at 7.00am with a Stop Loss of 20points and Profit Limit of 60points.